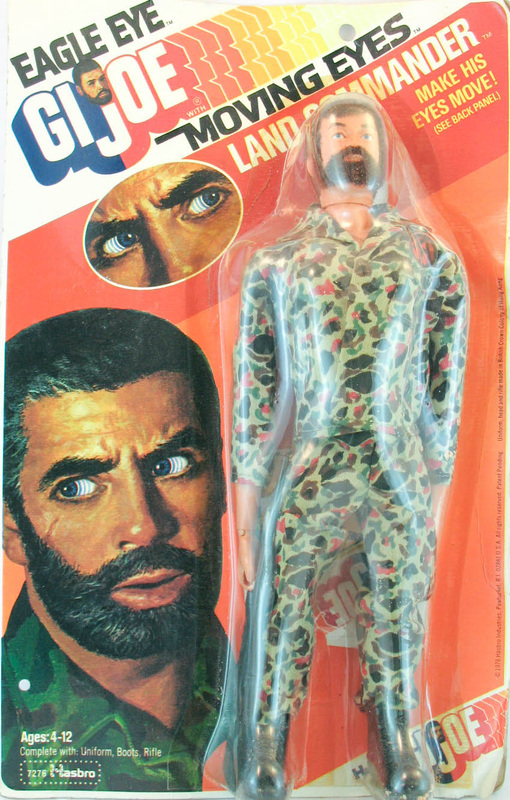 While flocking was first used by British licensee Palitoy, the Eagle Eye Land Commander (7276) features an innovation that later went across the pond to Action Man, moving eyes. A small lever on the back of the figure's head allow the eyes to move left or right in a slightly creepy unfocused stare. 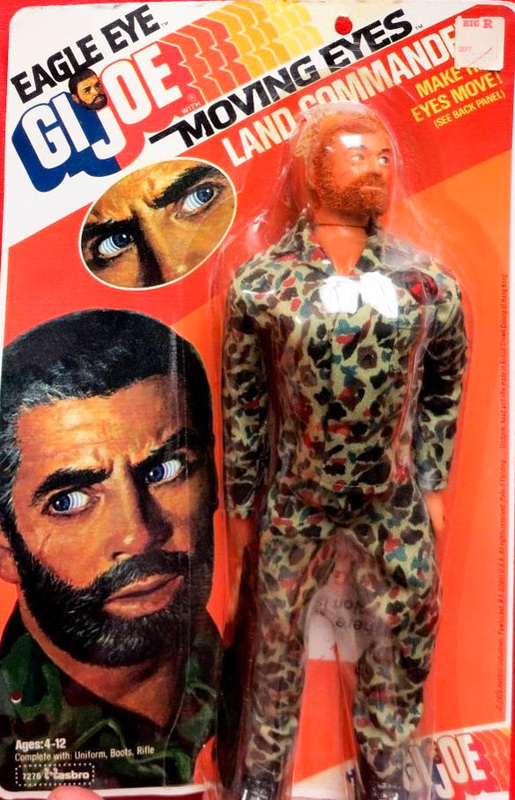 Very rarely the figure can be found with red hair and beard, though most are flocked in standard brown. 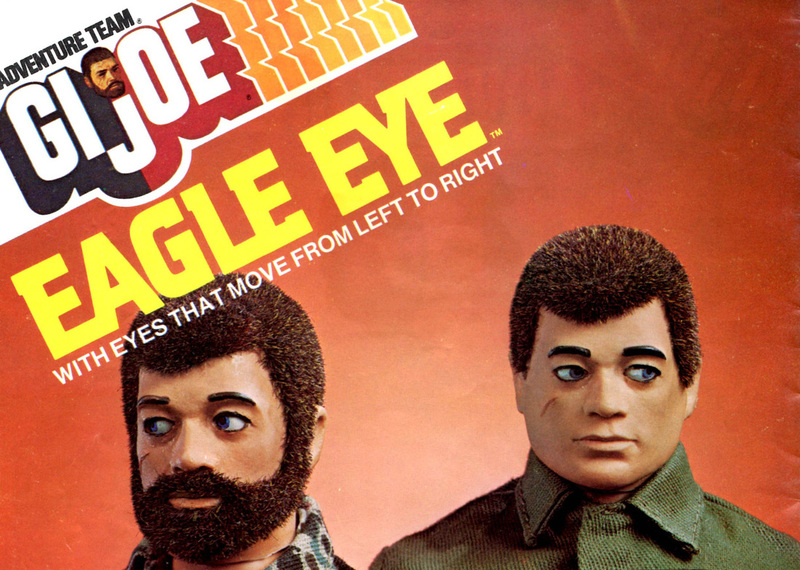 Hasbro also released an Eagle Eye Man of Action. The image below is the rare redheaded version, courtesy of Joezeta. See his amazing auctions on ebay here. These redheaded EE Land Commanders seem to be more common in Canada, so may have been produced there. Any definite evidence about their origin would be appreciated. Below, the Sears catalog box, image courtesy Joezeta. Be sure to check out his eBay sales of GI Joe and other toys here.